George W. Bush has undergone successful heart surgery in Dallas, Texas, after doctors found an artery blockage, a spokesman has said. The former US president had a stent inserted on Tuesday morning, a day after the blockage was discovered during a routine check-up. 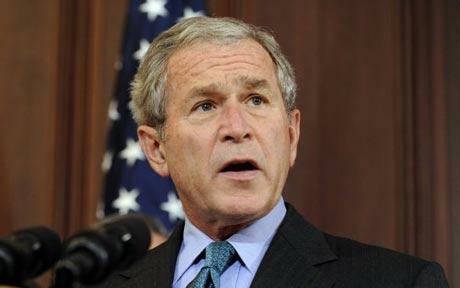 George Bush, 67, was in “high spirits” afterwards and would be discharged on Wednesday, the spokesman added. The Republican planned to return to his usual schedule on Thursday and encouraged everyone see the doctor regularly. “President Bush is in high spirits, eager to return home tomorrow and resume his normal schedule on Thursday,” his office said after the procedure. George W. Bush held office for two terms from 2001-2009, and before that was the governor of Texas. Since leaving office, George W. Bush has retreated from public life. He lives in Dallas with his wife, former First Lady Laura Bush.